Looking for ways to keep your dog happy and healthy? Come to our Canine Wellness Fair at the Give a Chance Boutique and meet local experts from many areas of canine wellness! Don’t miss this great event. Dogs are welcome to come too! « You can help Canines and Wine 2018 be a success! 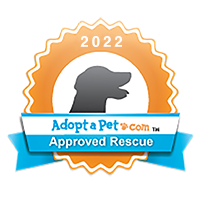 Our mission is to rescue, rehabilitate, and provide exceptional care for companion animals in need prior to finding them safe and loving homes. We offer low cost spay/neuter programs and educate the public by providing access to services that will encourage responsible pet ownership.